I began taking piano lessons at the age of six. I remember having to beg my parents to let me take lessons since they thought I was too young. Today, it is common for children to begin taking lessons at that age, and adults can begin at any age. I took piano lessons from several local teachers, the University of Cincinnati College Conservatory of Music, and The Ohio State University, from which I have a B.S. Degree. At the age of eleven I began taking flute lessons so that I could play in my high school band, and at seventeen I began taking oboe lessons. I was a member of the Ohio State Fair Band, and also won several first place awards from the Ohio Music Education Association for my performances in piano, flute, oboe, and as part of a trio and quartet. 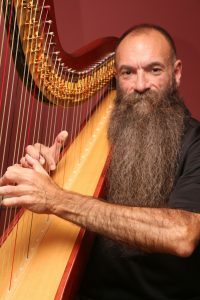 Music has always been an important part of my life, and after having been exposed to the harp at age sixteen while I was at piano camp, I have always wanted to play the harp. I began harp lessons several years ago, and advanced rapidly given my previous musical background, Today, I play the piano, lever harp, and pedal harp, and promote their use through lessons, performances, and ensembles. If you or your child has an interest in learning to play the harp or piano, I would be pleased to assist in that learning process whether you are a beginner or an advanced student.